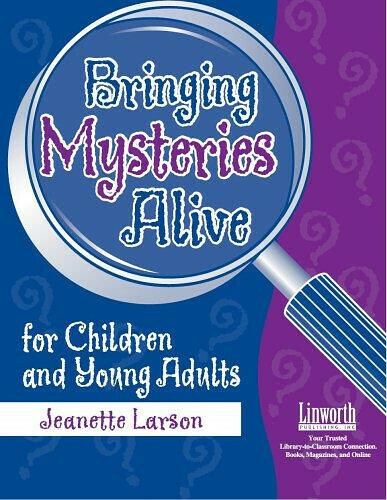 Product Description (from the back cover): Kids love mysteries, and you will love promoting learning and literacy with this guide to the mystery genre! Inside, you will find an introduction to the various types of mysteries and a guide to using the genre effectively in the library classroom. Engage learners and teach concepts within all subject areas! Content is ideal for public librarians as well as school librarians. Includes examples from most of the major sub-genres and categories, including true crime, detective stories, ghosts and gothics, suspense, and many, many more! GMD mention: Pages 42 and 43. The Basil of Baker Street series by Eve Titus is discussed. 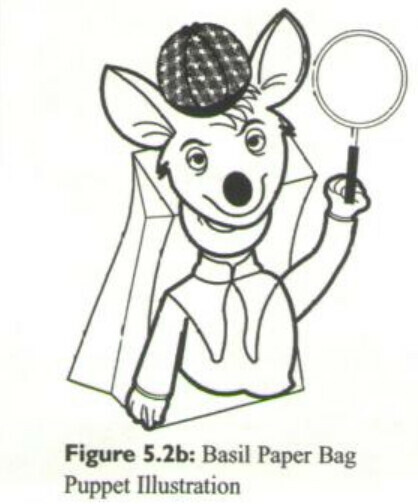 Along with it is a pattern to make a puppet of Basil out of a paper bag. Where can it be purchased: Amazon.com (Paperback). Copyright © 2004 Linworth Publishing, Inc.